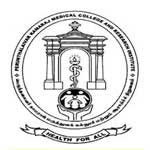 IGMCRI Recruitment 2017 – 100 Staff Nurse Posts:- Indira Gandhi Medical College & Research Institute (IGMCRI), Puducherry has published latest notification for filling up 100 posts of Staff Nurse on contract basis. Desirous & eligible candidates can apply in prescribed application format on or before 10/07/2017. Age Limit: Not exceeding 35 years as on 10/06/2017. Educational Qualification:Degree in Nursing / Diploma in General Nursing and registered with any State Nursing Council. Application Fee: Rs. 250/- towards application fee in the form of Demand Draft/Banker’s Cheque drawn in favour of Direstor, IGM&RI, Puducherry at IOB, Kathirkamam Branch, Puducherry. Application Procedure : Eligible candidates can send their application in prescribed format along with all essential documents to the Indira Gandhi Medical College, Kathirkamam, Puducherry – 605 009 on or before 10/07/2017. Subscribe our free job alert mail for IGMCRI Recruitment 2017.